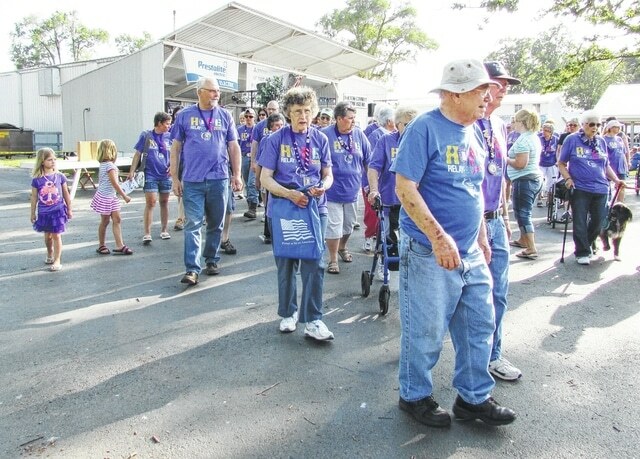 The survivors march north on the midway during the opening of Relay for Life of Fulton County. They will assemble just north of the Merchants’ Building for the lighting of the torch. Many children and caregivers are part of this activity. The annual Relay for Life of Fulton County was held Friday and Saturday at the Fulton County Fairgrounds.